Voted 16-1 to release Good Shepherd Lutheran Church of Lindy, Nebraska from the roster of congregations to the Nebraska Synod and the Evangelical Lutheran Church in America. Approved a 2 percent increase in defined compensation and most benefits for the Bishop for fiscal year 2015-16. That the proposed 2016-17 synodical budget as submitted by the Budget and Finance Committee be adopted. That the proposed Strategic Mission Vision and Plan be endorsed as submitted by the Strategic Mission Visioning Team. That the proposed assembly rules of procedure and agenda be adopted. That various members be appointed to the Assembly Minutes Committee and the Resolutions, Reference and Counsel Committee. That proposed Resolution 2015:1 relating to the Life of Faith Initiative be adopted. That the proposed 2016 Compensation Guidelines for Pastors and Lay Rostered Persons be adopted. 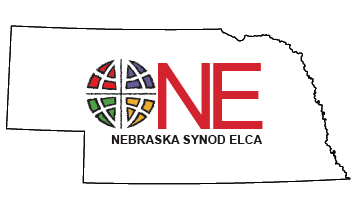 Authorized rostered leaders on leave from call who are not serving in an interim ministry setting to serve as voting members of the 2015 Nebraska Synod Assembly. Approved revised and amended constitutions for various congregations. Approved a funding request from the Rural Ministry Task Force of $8,500 for a rural internship grant to St. Luke and St. Paul’s Lutheran churches in Emerson. Approved the reappointments of Linda Daugherty and Kim Sucha to the Lutheran Family Services of Nebraska Board of Directors.